Timely, nuanced, and highly respectful of readers’ intelligence. Matt and Free discover the dark side of the City of Light. Matt, a white quarterback from Montreal, Quebec, flies to France (without his parents’ permission) to play football and escape family pressure. Freeman, a black defensive back from San Antonio, Texas, is in Paris on a school trip when he hears about a team playing in a rough, low-income suburb called Villeneuve-La-Grande. Matt and Free join the team, the Diables Rouges, and make friends with the other players, who come from many different ethnic groups. Racial tension erupts into riots in Villeneuve when some of their Muslim teammates get in trouble with the police, and Matt and Free have to decide whether to get involved and face the very real risk of arrest and violence. Canadian Mathieu Dumas and Freeman Behanzin, from Texas, each separately leaves home to go abroad. The two high school players find themselves teammates on the Diables Rouges, an American football club in the fictional suburb Villeneuve-La-Grande. This is one last fling before facing the inevitabilities that await them: college, careers… life. For the white boy and the black boy, one Canadian and the other American, their friendship blossoms as they explore the cobbled streets and age-old stones of the City of Light. But the relationships that Matt and Free develop in Villeneuve expose them — and our readers — to a side of Paris that’s rarely seen, the Paris of projects and poverty, of class divisions and racial strife. When the police harass and arrest some of their Muslim teammates, the North Americans get swept up in the urban uprising that erupts afterwards. Before returning to North America to begin careers as writers, the authors of Away, Running , David Wright and Luc Bouchard, played semi-pro American football for the Flash of La Courneuve, outside Paris. When riots broke out in 2005, we both took a plane to witness firsthand the troubles that had ignited in our past home and were spreading across France. The consternation and outrage we encountered and the tales we heard from old teammates told an entirely different story from the one reported in the media. Away, Running emerged from our experiences. Set against the little-known backdrop of American football in France, the novel uses the riots to dramatize the promise and frustrations of multiculturalism. With characters we immediately care about, spot on dialogue, and a fast moving plot, Away Running takes readers into the very heart of racial and cultural prejudice. David Wright and Luc Bouchard met as teammates playing American football for the Flash of La Courneuve in suburban Paris. David’s book, Fire on the Beach: Recovering the Lost Story of Richard Etheridge and the Pea Island Lifesavers (Scribner 2001, Oxford U. Press paper 2002), was a New Yorker notable selection and one of the St. Louis Post-Dispatch’s “Best Books of 2001;” the Memphis Flyer called it “social history at its readable best.” He wrote the screenplay for the documentary, Rescue Men , based on the book. Magic Johnson’s Aspire network aired it on September 15, 2012. His work has been recognized with awards and fellowships from the Zora Neale Hurston/Richard Wright Foundation, the Texas Institute of Letters and the National Endowment for the Humanities, among others, and appeared in The Village Voice , The Kenyon Review , Newsday , Callaloo , The Chronicle of Higher Education , and elsewhere. A former Fulbright Fellow to Brazil, he teaches at the University of Illinois. Luc was the ghostwriter for the best-selling cookbook, Dans la Cuisine de Danny St-Pierre (Les Éditions de la Presse), which won a 2014 Gourmand World Cookbook Award. He was also a feature writer for Chatelaine , Elle , L’Actualité and Reader’s Digest Canada . His investigative piece on medical errors in Canada’s national health care system was nominated for the Quebec Publisher Association’s “Best Article of the Year;” in 2011 and 2010, my Web-TV features on Académie Française member Jean D'Ormesson and philosopher André Comte-Sponville were recognized at the International Web Program Festival of La Rochelle; and in 2005, he was a finalist for the Prix Judith-Jasmin, awarded for the best journalistic oeuvre of the year. In October 2105, Bras de Fer , Luc’s narrative biography about whistle-blower Ken Pereira, the man who exposed corruption in Quebec's largest construction union and the star witness of the Charbonneau Parliamentary Commission, was published by Les Éditions VLB. The book has fire behind the words... It also has poetry. Away Running is a book about football... But it is far more than that: at its heart, it is a book about what it means to be human, regardless of class, race, or ethnicity. Orca Book Publishers: You two met when you were teammates playing for a French football team, just like your characters, Matt and Freeman. How much of their stories are really your stories? What other autobiographical details are included in the book? Luc: The project began as a memoir about our experiences playing American football in a poor suburb of Paris, so we did live many things like the ones Matt and Free are confronted with in the book. But Away, Running is fiction. It’s inspired by true events and real people, but our old teammates would be the first to tell you that we took lots of liberties. David: The other part of the book, addressing the riots, also emerged from true events and real people but had little to do with us, personally, and our experiences playing football in France. Our former teammates, yes. They still lived in the neighborhood. But Luc and I had been gone for years when the riots broke out. Orca: How long had you been in Europe when you two first met? David: Me, two years. It was 1988. I’d played one season for the Heathrow Jets outside London and the next one in Paris. After that, I spent four months working on a development project in the Ivory Coast, West Africa and was back in Paris, malarial, and my team ran out of money and folded. That’s when I tried out for a position with the Flash of La Courneuve, where Luc was already playing. Luc: I’d been in France four years at that point. David: You were one of the first foreign coaches and players over there. Luc: I was. I started with the Spartacus, the first team in France. Laurent Plegelatte, this judo instructor who was a devout Trotskyist and also a jazz saxophonist, had “discovered” football while touring the US on his motorcycle in 1980 and brought it back to France. He’d stumbled on a high school game one Friday night outside Denver and convinced the home team coach to donate and send him twenty-two sets of uniforms. Plegelatte recruited a bunch of his students — all of them fellow communists! David: So, the first American football team in France, in Cold War-era Europe, had a roster full of communists? Luc: Yep. I joined them in September 1984. I made a point to keep my political allegiances to myself. Two of the Spartacus players formed the Flash in La Courneuve, because Plegelatte thought that a football team could be a good outlet for young guys there. David: And it turned out to be a great idea, too. La Courneuve was a trip! Straight up the ‘hood. Not any Paris I’d imagined before joining the team. Orca: Have the two of you stayed friends through the years, or did you just reunite to write this book? Luc: We met and became friends with the Flash, but it was while working together for US Foot magazine, where I was editor and David wrote, that we got even closer. We first began writing collaboratively on articles for the magazine. David: Writing in French was tough. But writing about football and the NFL from France before the Internet even existed — that was something else. Orca: How did the book project begin? Luc: Dave was back in the States. We’d covered six Super Bowls together, and even though he wasn't writing for the magazine anymore, we tried to reconnect at Super Bowls. David: It was, like, 1994. Luc: Super Bowl twenty-eight, Dallas against Buffalo, in Atlanta. We’d gotten you press accreditation and you flew down but couldn’t even attend the game. David: That sucked. I was in grad school and had classes to teach on Monday that I couldn’t miss. But it was hanging out and remembering La Courneuve that sparked the idea for a book. No one had told the story of playing American football in Europe. Luc: Few had lived it at that point. David: Right. So I thought, let’s tell that story, our story. Luc: I remember how you first talked about it — as a story of friendship across race and culture, between black and white, Canadian and American, against the backdrop of American football in Paris. David: We worked on it for three or four years, between other things. Me, finishing grad school and researching and writing Fire on the Beach, getting married and starting a teaching job. You, returning to Montreal and marriage and children and establishing yourself in the Canadian press. Luc: The first “final” draft, your agent hated it. David: Just hated it. Too narrow. Maybe too self-centered and too self-satisfied. Luc: And she was right! Especially considering that it was the memoir of two nobodies. Orca: So how did it evolve into fiction? David: It was a long, strange journey. Once we got past navel-gazing, we decided to open it up. We were still imagining it as nonfiction, but not necessarily memoir. That’s when we found a different — and frankly, an important — angle. Luc: It was the summer that eleven year-old Sidi-Ahmed Hammache got killed by a stray bullet fired between warring gangs while he was washing his father’s car outside the high-rises in La Courneuve, the home base of our old team. June 2005. David: I was in Paris that summer, and the incident provoked a lot of hurt and outrage. Here in the US, we read a lot about innocent victims of drive-bys and whatnot, but things like that were fairly rare in France at the time. The official government reaction was atrocious. Nicolas Sarkozy, who would be elected president a few years later, was the interior minister then, and he blamed the culture of the high-rises for the problem, notably targeting the young people of those poor suburban neighborhoods. Hip-hop and rap were really popular, and a lot of the kids emulated the styles coming out of the US. Well, Sarkozy called them all “scum” and vowed to clean them out with a power-hose. Even though those neighborhoods are pretty mixed ethnically and racially, they’re seen to be largely North African and African, so his comments had a racist tinge to them. Instead of showing empathy — or even just leadership! — he stigmatized an entire demographic of the population. All North Africans and Africans from every suburb like La Courneuve felt attacked. And it occurred to me that this little-known world — the Paris of projects and poverty, of class divisions and racial strife — was something that should be written about. Luc: Then four months later, the riots erupted. Luc: We met in Paris three days in. We’d go up to La Courneuve, where violence was pretty intense, and interview former Flash teammates and current players, kids who had tossed Molotov cocktails and cops who tried to police the neighborhood. We’d see the scorched marks on the streets where cars had been set on fire and the phalanx of riot police in helmets, with shields. And then we’d get on the commuter train and end up back on the Boulevard Saint-Germain, seated on the patio of the Deux Magots in the cool night air, tourists casually passing by and gawking at the old church across the street, everyone completely oblivious to what was happening just a few kilometers away. David: Remember? One editor complimented us, saying how much she could imagine it as a movie, right before telling us she was passing on the manuscript. David: Which is to say, at boys. The problem was, I’d never read YA before, not even when I was a YA myself. Luc: Me neither. But we thought, Why not? From everything we read about it, boys — and particularly, boys of color — were this really absent demographic in children’s books. The story we wanted to tell seemed perfect in that regard. David: And so now, after three complete re-imaginings and umpteen drafts over almost twenty years, we have Away, Running . David: Through all the various evolutions of the project, one thing always remained, the notion of it being a dual-voiced, single narrative. Luc: One voice was just too limited to represent the range of what each of us had experienced in Paris. David’s Paris, as a black American, was different from my Paris, as a white Quebecker. For instance, I’d never been stopped by the police for their supposedly “routine” identity checks until I started hanging out with David. We’d be walking in Les Halles or the Latin Quarter and groups of foot patrolmen would regularly stop us. What made it even more disturbing for me was the fact that most of the time they wouldn’t even bother to ask for my ID documents. They’d just ask him. My Paris changed when I became friends with a black man. David: For me, stuff like that wasn’t even really new, having grown up a black kid in Texas. There was always an extra level of scrutiny — and there still is, for that matter — by the police, by clerks in stores, all that. But it was interesting to see how it translated into a French context — for me, but also for the North African and African folks I got to know in La Courneuve. Because, you know, even though I got stopped all the time in Paris, once the police saw my American passport, they’d let me be. Not so for the guys from our team. Luc: That’s why we couldn’t write our story about Paris in a single voice. We wanted to represent both of our realities in a primary way and to have the two characters experience La Courneuve each from his different perspective. Orca: Luc, writing a book with another person has to be more challenging than writing it alone. Can you describe the process you and David used to make it work? Luckily, David had become professor of literature and creative writing, and he was really generous in sharing what he’d learned and was learning. That doesn’t mean it was always easy or that we didn’t have ups and downs. But, despite having different careers, living in different countries and starting new lives, we always found ways to meet somewhere — in Paris, Chicago, Montreal, Austin — and get work done. In a weird way, writing Away, Running together helped our friendship continue to grow. David: I’d just add that, while writing together like we did is less common, especially in fiction, collaboration does things for a work that might not happen otherwise. This is my second collaborative book, and on a basic level, having a different viewpoint interacting with, and even interleaved with, my own has added a texture and complexity to my understanding of the subject matter that I’m not sure I’d have reached working alone. Beyond that, though, the “write what you know” thing that we learn in creative writing classes can be very limiting. I want to be able to write layered and complex women characters and white characters and, in this case, North African-descended French characters. Working collaboratively with Luc helped me get there. Luc: Exactly. Because if writing is this sort of conversation between an author and an audience — and I believe it is — well, the dialogue is opened up and made more immediate for the writer when working collaboratively. Orca: David, you’ve traveled quite extensively since your early visit to Paris to play football for the Flash. How have your travels influenced your understanding of people, and the kinds of social conflicts you and Luc portray so well in this book? David: When I first decided I wanted to become a writer, I totally bought into that Hemingway idea of writing from one’s experience. You know: you go out and have adventures that you can mine for material, etc. etc. And so I did. I played American football in Europe, and I worked development in Africa, and a friend and I hitchhiked from Brazil to Dallas… Things like that. But more than the surface adventures, I came to understand that a writer’s true material is what’s churning and germinating underneath. For me, this has always had to do with questions of how race and class and gender play into issues of identity. So, in seeing and experiencing how these identity issues work in Brazil or West Africa or La Courneuve, I’ve come to better understand myself and my own place in the world. The more I’ve traveled, the more I’ve understood myself — and consequently others, too. Because when I’m writing a character, necessarily I’m writing a little piece of myself into her or him. My understanding of myself is guiding how I come to understand the character. This is the stuff that’s at the heart of my writing, not the adventures my characters have but their evolving understanding of themselves as a consequence of their adventures — and misadventures. Orca: On November 13, 2015, Paris once again exploded into violence while the whole world watched in horror. What were your initial feelings when you heard about the Paris attacks? Luc: I sat stunned in front of the TV with my two daughters, who are teenagers, and tried as best I could to field their questions about how and why this could happen. As for the how: well, there are fanatics everywhere who, for whatever reasons, are drawn to extremism. On top of that, there’s relatively easy access to guns. My daughters and I were watching it occur in France, but we would also see another example of it just a few weeks later, in the attack on the Planned Parenthood clinic in Colorado. But why this happens?... That’s a harder question to answer. Abdelhamid Abaaoud [the Belgian who orchestrated the recent attacks] was, without question, a fanatic and what happened on November 13 was, without question, an attempt to terrorize French society. No doubt. But maybe we’re also using the term “terrorism” a little too easily. Maybe we use it as too much of a catch-all term. Maybe sometimes we use it as a way to distance ourselves from accepting any sort of accountability for the conditions that lead to violence. There’s a huge difference between the November 2015 attacks and the riots of 2005, but there is a sad overlap, too. Some of the young French men of North African and African descent who are getting sucked into the maelstrom of extremism and violence had been leading lives of despair before getting to that place of hopelessness. For too many, despair is all they’ve ever known. And don’t forget, most of the people who live in those neighborhoods are French, born and raised. Many are of foreign descent, yes. Their grandparents, or maybe even their parents, came from some former French colony — Algeria or Mali or wherever. But the younger generations are largely all French citizens and France is pretty much all they’ve ever known. So, some of what France is experiencing is a by-product of the country’s troubled history of colonialism and the difficulty it has had coming to terms with this legacy. A society has to take into account all of its citizens. To not do so is to risk social unrest by those who are left on the outside, looking in. Orca: There are examples of racial discrimination erupting into violence throughout history. In August 2014, Ferguson Missouri went through some very similar events to those you describe in the book. Do you think we as a society are doomed to keep repeating these tragic encounters, or do you feel some hope for our future? David: I find myself vacillating between Malcolm and Martin in my view of the current state of things in the US — particularly in light of the murder of Trayvon Martin by George Zimmerman, of Tamir Rice and Eric Garner and John Crawford, on and on. And even more recently, of the shootings of Laquan McDonald in Chicago and Jamar Clark in Minneapolis. I remember my own coming up. I’d have run-ins with the police or with people who I could look at and just know they were seeing something other than me. And as I see this continuing to happen today — and too often with tragic consequences — I feel rage and outrage, and I feel very, very sad. But it’s important to remember that, as angry as he was — and justifiably so — Malcolm saw the promise of a future for everyone here. His speeches are evidence of this. “The Ballot or the Bullet,” as bleak as the title might sound, identified the problems he saw in US society and laid out solutions to resolve them and avoid bloodshed. And Martin. Sure, he preached forgiveness and turning the other cheek, but this didn’t make him any less an unrelenting and forceful activist for racial justice. The ones we admire and try to emulate have hope. It’s why they go to the lengths that they do to try and affect change for the good — because they can see a way out of no way. This is what the Black Lives Matter Movement is doing today, and it’s important work. And the work they’re doing is built upon the foundation of what all those others did before: Malcolm and Martin, yes, and also Frederick Douglass and John Brown and Ida B. Wells and WEB Du Bois and Ella Baker and Bayard Rustin and Yuri Kochiyama and Angela Davis, and so many more. As dire as things can seem — and can, in fact, be — we have to remember that the world that we continue to struggle to make better isn’t as horrific as the legislated racial slavery that Douglass and Brown worked to undo, as the de facto and de jure Jim Crow that Wells and Du Bois worked to undo. Step by step, we, as a society, are walking the thousand-mile road. Don’t get me wrong, we have in no ways gotten to where we need to be. But by the same token, I also don’t have to sit at the back of the city buses in the South; many more of us have access to a decent education than during my parents’ generation; all of us can exercise our right to vote, even if some Republicans are trying to make it harder for us to do so. Some police officers look at a young black man and see a “superhuman demon.” Some continue to fear black people to the extent that they use extreme and deadly force against us without just cause. But we’re seeing more and more of them convicted for their crimes. Black Lives Matter has played a huge role in this — them and folks like Bryan Stevenson and Michelle Alexander and Rosa Clemente and James Rucker and the Innocence Project. The movement is sensitizing the larger American public to just how common these injustices continue to be, and Americans of all races are reacting against it. So yes, I feel hope. Writing Away, Running was gesture of hopefulness. David was also featured on February 8, 2017 on Cynsations , New York Times and Publishers Weekly best-selling author Cynthia Leitich Smith’s blog. 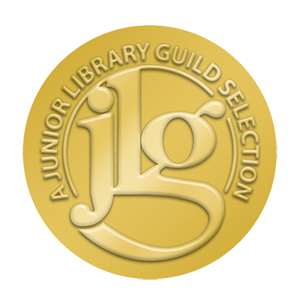 Cynsations is a source for conversations, publishing information, literacy and free speech advocacy, writer resources, inspiration, bookseller-librarian-teacher appreciation, news in children's and young adult literature, and author outreach. Check it out! This is one that even football neophytes will find captivating. “Away Running follows two very real and likeable seventeen-year-old boys on a trip to Paris. It’s no ordinary backpacking adventure, however. “On occasion I come across a book I want to steal and tell people I wrote it, a book that delivers challenging strings of strong words that deliver dilemmas and consequences, in a style that you hadn’t hoped for, but were glad when it hit you like a bucket of cool water. 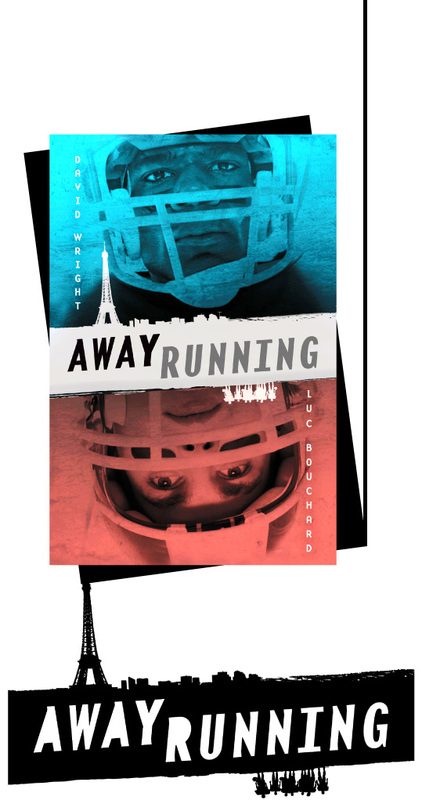 Away Running, by David Wright and Luc Bouchard, the story of two young football players coming into their own under the backdrop of social turmoil, is one of those books. "The story opens with Matt, Free and their French teammates confronted with belligerent police officers, only to trip back in time, and space, showing how these young men got to their present situation. Annoyed with a wealthy mother, Montreal quarterback Mathieu (Matt) runs away to Paris and plays for an American football team. The roster is made up of neglected teenagers, primarily of North African descent, and is allowed two foreign players via the rules of their club. The second foreign player is defensive back Free, an African-American exchange student from Texas. Matt and Free work with team captain Moussa (a truly fun character known as Moose) to turn this squad of underdogs into a force to be reckoned with. As friendships and relations flourish, the characters become inundated with the heart of the conflicts of Paris and their own lives. Classism and racism come to light as subplots of romance flesh out this character driven story and supply the reader with something tangible to hold on to. "Authors Wright and Bouchard, who met playing football in Paris and draw on personal experience to add detail and realism to this fictional story, address complicated social realities with grace, while leaving the reader room to explore these ideas and come to their own conclusions, and once the story slides back to the present violence boils over in an all too real picture. The reader sees this coming, hopes it doesn’t happen, but knows it will. It had to. That is the kind of storytelling one finds in Away Running. The two main protagonists of this book, Matt and Free, are Canadian and American expatriates living in Paris. Taking time off to play American style football for a team in an impoverished suburb of Paris, they learn more about life and themselves than football as a series of events leads up to the 2005 Paris riots. This book does a very realistic job of portraying the two youths, in alternating points of view, who become involved in the events leading to the flashpoint of the riots. Racism and prejudice against religions, ethnic persuasions, and classes are portrayed in a believable manner that highlight how often our attitudes toward groups influence our behaviors and words without us even being aware of it. The book contains some profanity and references towards sexual feelings and situations, but it is not excessive. Every group is represented with complexity and has both redeeming and negative qualities, except maybe the drug dealer. The French is interpreted so language isn't a problem. “The new novel by Luc Bouchard and David Wright tackles the subject of racism and adversity faced by American football players in the early 2000s in Villeneuve, a poverty-stricken neighbourhood of Paris. Away Running also explores the rising tensions between the marginalized Parisian poor – primarily Muslims and immigrants of North African descent – and the police. The story is told through the eyes of Matt and Free, American teens who become the first two foreign players on the Diables Rouges, Villeneuve’s American football team. "As the book opens, the police catch Matt, Free, and some of their French teammates trespassing. The situation escalates toward disaster, and the scene ends with a cliffhanger. The story then backtracks three months, as Bouchard and Wright fill in the events that have brought the characters to this point, narrated from the alternating perspectives of Matt and Free. Moussa (or “Moose”), the team’s captain, some of their teammates, friends, and family are also ably brought to life. Honest, amusing banter dances around the tensions between classes, religions, and races in a rich blend of slang and colloquialisms that render the teammates sympathetic and realistic. "The infusion of football throughout gives the novel a framework and lexis, however the sport itself isn’t played very often. Inconsistencies with pacing and tense are also distracting. Nevertheless, the authors, who draw on true events and their own experiences playing football overseas, address complex situations and social tensions in a manner that is true-to-life and potent. “Away Running begins and ends with running away. The opening scene presents Matt (Mathieu Dumas from Montreal) and Free (Freeman Omonwole Behanzin from San Antonio, Texas) and some of their teammates on the American football team, the Diables Rouges, in Villeneuve, France. Villeneuve is a suburb of Paris noted for its mainly poor, immigrant population, and a concomitantly high level of racial tension. Taking a short-cut through a construction zone, the boys are stopped - unfairly accosted - by the police. Immediately, readers are im- mersed in the fear these teens face: they have done nothing wrong, but they know that doesn’t matter. They will be arrested. Their parents will be called. They will not be able to play in the under-20s championship final in four days. They run. "Matt, too, is running. His mother is an editor for a Canadian women’s magazine; his brother and sister have both been successful in busi- ness; Matt is similarly slated to attend Orford College - an excellent business school with no sports: no football. Stealing from his college funds, Matt runs to his football friend in Paris. "Free is in Paris on a summer-school study- abroad trip, on scholarship and feeling ostracized from his white classmates. When he meets Matt, and is given the opportunity to stay and play for the Diables Rouges, he jumps at the chance. But Free, too, is running from the reality of his life in the United States. "Much of the novel is taken up with the relationships among Matt and Free; Moussa (Moose), their closest team-mate; the volatile Sidi and his sister Aïda; and the other teammates, who both respect the ’Ricains for their playing abilities and resent them for their privilege. Away Running demands not only that readers consider issues of privilege and race, but also that they understand how deeply embedded our cultural ethos lies, and how complicated intercultural and interracial interactions really are. The prejudice the Diables Rouges players and their community experience is not ultimately about race, pure and simple, as Matt learns. Despite being African-American, Free is not persecuted with Moose and Sidi and the other non-White players. Being foreign, regardless of colour, sets him out- side of the cultural dynamics at play in the lower-income Paris suburbs at the same time as his race - as well as being from a similarly low-income, oppressed 'hood 's San Antonio - allows him to understand those dynamics more than Matt can. "Issues of race, of cultural understanding, of teens’ social relations are set against the American football season in Paris. The Diables Rouges are a middle-of-the-pack team, and much of the boys’ growth in under- standing results from their involvement in the team as they develop to meet their potential. What makes this more than a 'there is no I in team' story is the true human messages that the authors impart through the carefully and very successfully developed characters. We really get to know not only Matt and Free, but Moose and Aïda, and the full cast of narrative support. We become fully invested in their lives long before the final scenes are played, before Away Running stops being about football at all, and becomes entirely about race, culture, politics, and police brutality. It was not surprising to learn from the Authors’ Notes at the back of the book that the final scenes are based on a real incident in France in 2005. It is to the authors’ great credit that the violence of the final scenes, the gross unfair- ness of the situation, flows seamlessly out of the entirely fictional characters and storyline they have created. "Away Running is a book about football, best suited for teenaged boys who will engage with the mentality and language of these fictional teenaged boys from the disadvantaged spaces of their cities. But it is far more than that: at its heart, it is a book about what it means to be human, regardless of class, race, or ethnicity. A football book that moved me to tears; I never thought I’d see that." This is an important book. With characters we immediately care about, spot on dialogue, and a fast moving plot, Away Running takes readers into the very heart of racial and cultural prejudice. Elisa Carbone, award-winning author of Jump. Bouchard and Wright have delivered a fascinating insider look at a slice of Parisian life that you never read about. They take you inside the neighborhoods, cliques, conflicts and team huddles as you follow these young men finding their place in the world. Away Running will excite young and old alike — as electrifying and satisfying as a last second winning touchdown! Billy Hicks, former NFL Europe executive and general manager of the London Monarchs. Away Running is a richly complex mix of personal growth against a backdrop of social upheaval. Read it. Remember it. Recommend it. Raymond Obstfeld, co-author with Kareem Abdul-Jabbar of the Street Ball Crew middle-grade book series. Away Running is an impactful story about courage and the importance of learning to take a stand and doing what is right. Turning the pages, I asked myself again and again what would I do if it was me in Matt and Free’s shoes. Away Running will excite young and old alike. Honest, amusing banter dances around the tensions between classes, religions, and races in a rich blend of slang and colloquialisms that render the teammates sympathetic and realistic. On October 27, 2005, in the Parisian suburb of Clichy-sous-Bois, three boys were electrocuted after climbing into an Éléctricité de France substation, running away from the police. They had been guilty of nothing more than growing up in a poor, racially mixed and crime-ridden neighborhood, one feared and marginalized by the rest of French society. Just minutes before, the boys had been playing a pick-up game of soccer on a pitch near their high-rise projects. It was the end of Ramadan—the ninth month of the Islamic calendar, a time of daytime fasting—and with the sunset, the group of boys, many of whom were Muslim, were walking home for supper. After passing a padlocked construction site, the boys found themselves suddenly surrounded by police cars. A neighbor had called in to report (mistakenly, it turns out) that the boys were vandalizing the property. The police, armed with Flash-Balls—guns that fire rubber bullets—rushed up on them, ordering them to stop and produce their ID documents. Tensions had been running high in Paris’s poor suburbs like Clichy-sous-Bois. Populated largely by immigrants, many from France’s former colonies in North and sub-Saharan Africa, the townships had become a toxic combination of all the country’s social ills: a decaying urban landscape, pockmarked with overpopulated and poorly maintained high-rise projects; widespread under- and unemployment; inferior education; juvenile delinquency; and crime. In a speech the week before, Nicolas Sarkozy, France’s interior minister (who would be elected president a few years later), had made sweeping and disparaging statements about the projects, describing its hip-hop-identified young residents as “racaille.” Commonly translated as “scum,” the word can also mean “vermin.” Sarkozy vowed to “nettoyer les cités aux Karsher”—to clean out the high- rise projects with a power hose, the language evoking the work done by an exterminator. Relations between neighborhood residents and the police quickly deteriorated. Sarkozy assigned the CRS—the riot squads, which have a reputation for viciousness—to police these neighborhoods. Frequent and repeated checks of identity documents became commonplace. Residents perceived the CRS presence as being intended to intimidate, not to protect. When the police cars sped up on the group of boys in Clichy-sous-Bois, three of them— Muhittin Altun, seventeen, Zyed Benna, seventeen, and Bouna Traoré, fifteen—panicked. Fearing the overly aggressive police as much as the eventual wrath of their parents for getting arrested, they ran. Muhittin, Zyed and Bouna sprinted past the graffiti-covered wall of a cemetery, the police chasing after them. What ensued sparked riots throughout France that lasted nearly a month. An impactful story about courage and the importance of learning to take a stand and doing what is right.